Setting the stage for a pet, a person takes on more responsibility for the one whom has tamed. Doesn't matter whether the aquarium is a fish or a dog of breed husky. 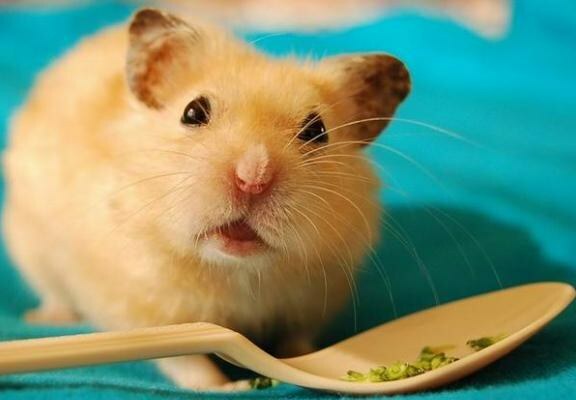 With proper care a hamster may live a very long time, but not forever. Suffering from stomach ulcer person would once again eat spicy, unless of course he is not suicidal. Hamsters are less picky creation. Rather, eat everything they are fed. Hamster but reliability does not mean that the animal will fit any dish. Of course, the food store must be checked for expiration date. No spoiled, rotten vegetables and fruits hamster also can be given. In the list of products is able to bring the rodent to the point of death, includes onions, garlic, all kinds of spices and all sweets, including candy, cookies, jam, ice cream, etc. Once treated the animal with a product from the prohibited list can be limited only by the indigestion and flatulence, but giving a forbidden permanently, you can easily achieve a lethal outcome. Very risky and challenging period not only for the pet but for the owner. Waiting to feed the posterity of that woman it is advisable for verified breeders list, which is easily to find on the Internet. As the animal during this period is particularly sensitive, you should limit any stress factors - a sharp light, background noise, capable to injure the rodent. It is important not to miss the moment of childbirth, as if there are any problems, the female can die of shock, rupture of any internal organ. Still, the hamster - the animal is fragile. At least once a week bedding in a hamster cage needs to be changed completely, and the waste of his life it is better to remove daily. Remove the hamster from the cage you need, in the literal sense, kindly and gently. Rough embrace quite capable of anything to break him, and if the animal is dropped from a height, a successful outcome is virtually no hope. You can't leave the cell with a rodent for a long time in a very Sunny room, the hamster can die from heat or sunstroke. Of course, the important point is the timely replenishment of food and water in the cage. Closer to cold days fuzzies doing in the cage a strategic reserve, which is a port, emits unpleasant smell. Throw it in any case impossible, as it's very stressful for the animal. It is better to replace the spoiled similar a handful fresh. Diseases are a consequence of all the above factors. And it may be as fleeting poisoning and long time illness. The normal age for a hamster is 3 years. If the rodent has reached or crossed the barrier, the owner, is commendable. As a prosperous old age - the result of a caring attitude.